The cover art for Bear Claws, The Iron Horse Chronicles–Book Two, has been released by ENC Graphic Services and Five Star Publishing. The cover conveys the power and intensity of the adventures facing fifteen-year-old Will Braddock as the transcontinental railroad builds across Wyoming in 1868. Will strengthens his friendship with Lone Eagle, after the mixed-blood Cheyenne’s father, Bullfrog Charlie Munro, is killed by a grizzly. Will continues to confront Paddy O’Hannigan, whose vendetta to kill Will, his uncle, and the former black slave Homer Garcon, grows more sinister. Will remains fascinated with feisty Jenny McNabb, who cooks at her father’s Wells Fargo stagecoach station. Will is challenged to use all his skills to save the life of Ulysses S. Grant when Paddy attempts to blow up the presidential candidate’s train. Later, Will is badly mauled when he steps in front of a grizzly attacking a German aristocrat during a hunting expedition. Despite suffering from bear claw wounds, Will must find a way to help Elspeth McNabb, Jenny’s sister, escape the clutches of Paddy. 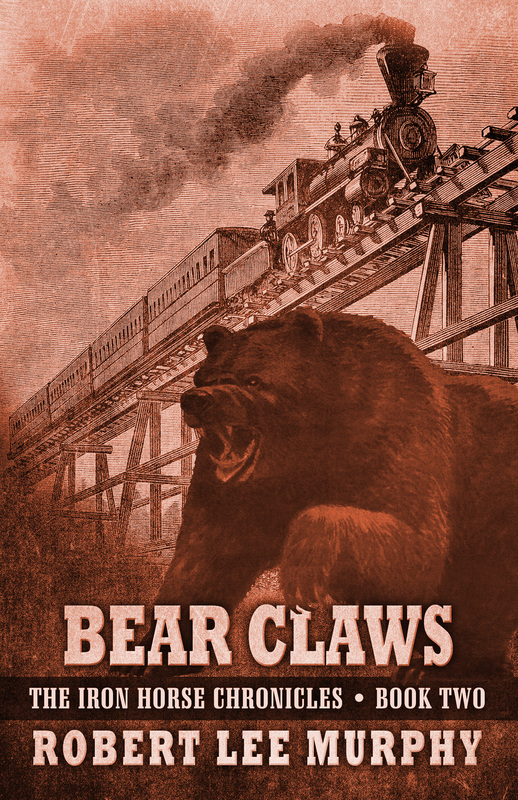 Bear Claws, will be published by Five Star Publishing, in November 2015. Three sample chapters will be presented over the next few weeks in sub-tabs of the Books section of this website. Bear Claws will be available from Amazon and Barnes & Noble. Specific links will be provided when the book is ready for pre-order. This entry was posted in Animals, Bear Claws - Book Two, Geography, Indians, Iron Horse Chronicles' Characters, Stagecoaches, The Iron Horse Chronicles, Transcontinental Railroad and tagged Adventure Fiction, Bear Claws, Fictional Character, First Transcontinental Railroad, Five Star Publishing, Frontier Fiction, Historical Fiction, Jenny McNabb, Lone Eagle, Middle Grade Fiction, Paddy O'Hannigan, Pioneer Life, Sample Chapters, Teen Fiction, The Iron Horse Chronicles, Western Fiction, Westward Expansion (1867-1869), Will Braddock, Young Adult Fiction, Young Readers. Bookmark the permalink. How exciting. I’m looking forward to reading the new book when it is published.